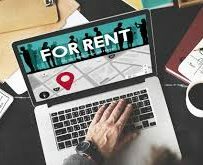 According to CMHC, the average rental vacancy rate in major centres across Canada decreased from 3.0% in October 2017 to 2.4% in October 2018. Vacancy rates declined in Quebec, Alberta, Saskatchewan and the Atlantic provinces, while increasing by various amounts in centres in Ontario, British Columbia and Manitoba. In many centres, new purpose-built rental housing has come on stream, adding about 37,000 apartment units. However, rental construction has not kept up with the increase in demand between October 2017 and October 2018, as demand rose by 50,000 units. For example, in Ontario Census Metropolitan Areas, 6,778 apartments were added to a stock of 646,320, an increase of 1%. In BC, 2,443 rental apartments were added to a stock of 172,775, an increase of 1.4%. Those additions are generally the smaller part of the increase in the rental supply. In Toronto, 5,692 rental condos were added to the rental supply, increasing the supply of rental condos to 129,547, an increase of 4.6%. In Vancouver, 1,081 rental condos were also taken away from the rental supply, decreasing the supply of rental condos to 58,849, an decrease of 1.8% in that part of the rental stock. Condos have become a significant source of rental supply, and that stock is expanding. In Ontario and the West, between 24% and 37% of all condos in most centres are rented to tenants, consistent with last year. The proportions of all condos rented in major centres in October 2018 are: Ottawa 29%, London 28%, Toronto 33%, Winnipeg 20%, Calgary 35%, Edmonton 37% and Vancouver 24%. Halifax saw the largest increase in the proportion of condos rented, increasing from 24% in 2017 to 33% in 2018. In most cities, the size of the secondary rental supply remained similar to what it was a year ago. In most centres, the “secondary market” of condos, rented houses, doubles, duplexes and accessory suites makes up 40% to 50% or more of the total rental supply. The secondary market provides a flexible housing supply, which is often lower priced than the primary market. John Dickie, President, CFAA by e-mail at president@cfaa-fcapi.org.